This website is intended for healthcare providers interested in learning more about MIHP and in obtaining resources to implement an MIHP program. Mobile Integrated Healthcare Practice (MIHP) is a novel healthcare delivery platform intended to serve a range of patients in the out-of-hospital setting by providing patient-centered, team-based care using mobile resources. MIHP emphasizes the importance of providing the right care, at the right time, in the right place and at the right cost. The collaboration between a variety of public safety and health care partners promises to provide 24/7 care—whether acute or chronic, at home, in a clinic or in another out-of-hospital location. It’s a unique approach to common problems, and an idea whose time has come. The U.S. healthcare system is often described as one that fails to achieve optimal health outcomes while generating exorbitant costs for patients, payers and society. The Institute of Medicine (IOM) estimates that $750 billion—30 percent of the U.S. annual healthcare budget—is wasted on unnecessary services, inefficient delivery, excessive administrative costs and prevention failures. Barriers to patient access; fragmentation of acute and chronic care; ineffective management of chronic illness; and complex, outdated reimbursement processes leave patients, clinicians and payers frustrated—and at historic levels. A special problem is 24/7 care coordinated in the out-of-hospital setting. The discontinuities of health service are notably evident in the care of patients at home; this is particularly true for the chronically ill, frail elderly and mobility impaired. Multiple single-purpose providers offer niche care and often only during restricted hours of operation, neither of which match the actual needs of this patient population. As a result, patients are routinely referred to hospital emergency departments (EDs) by their healthcare providers, despite the common knowledge that the ED is an imprecise match to their needs. Furthermore, care gaps, such as a lack of post-acute transitional care, make preventable readmissions a virtual inevitability that is both expensive and disappointing to patients, caregivers and the healthcare system. 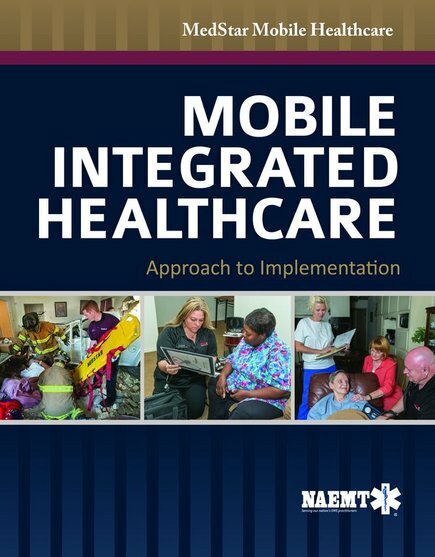 Adapted from Mobile Integrated Healthcare Practice: A Healthcare Delivery Strategy to Improve Access, Outcomes, and Value. Click here to download the full article. 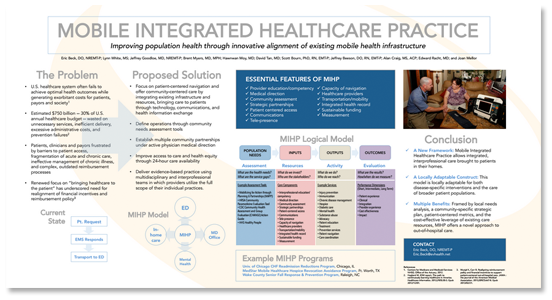 MIHP is a creative healthcare delivery model that links existing healthcare providers with mobile health infrastructure in a collaborative effort to improve the health of a specified population within a community. In the MIHP model, a partnership of community stakeholders determines local needs and gaps in healthcare services. While not a requirement for MIHP, the EMS infrastructure and 24/7 availability may be used to guide patient navigation and care, assisting patients in accessing the most appropriate resources in a timely manner. Additionally, EMS may be able to provide scheduled and unscheduled care through primary, secondary and tertiary interventions. 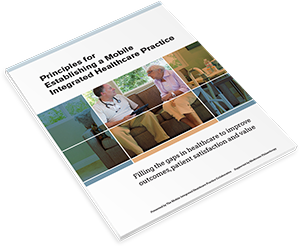 Principles for Establishing a Mobile Integrated Healthcare Practice. Complete form to download guide. This new guide was written by leading researchers, educators, medical directors and practitioners. It pulls together and places in context the basic tenets that should be a part of every Mobile Integrated Healthcare Practice. The profiles included here provide a sampling of various MIHP programs across the country; information was compiled through data submitted by each organization. To submit your organization’s MIHP program profile, complete the electronic profile form below. Once submitted, please allow several days for it to be reviewed and published. Noted pioneers in this new area of practice, co-authors Doug Hooten and Matt Zavadsky provide a step-by-step approach for the practical implementation of an MIH program. Their experience with community stakeholders, payors and other healthcare specialists provides unique insight. Funded in part by Medtronic Philanthropy. Produced in cooperation with the RedFlash Group.